The giant Left Coast Lifter will pass through the Panama Canal this weekend, Jan. 11-12, 2014, as it makes its 6 week journey to the Hudson River from San Fransisco Bay. 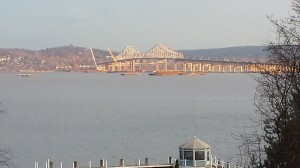 Updated information can be found at NewNYBridge.com The Left Coast Lifter departed Oakland, CA on December 22 escorted by tugboats and is expected to arrive in New York by the end of January. Weather permitting the Tappan Zee Constructors will continue construction of the foundation for the new bridge with ongoing installation of permanent pilings. 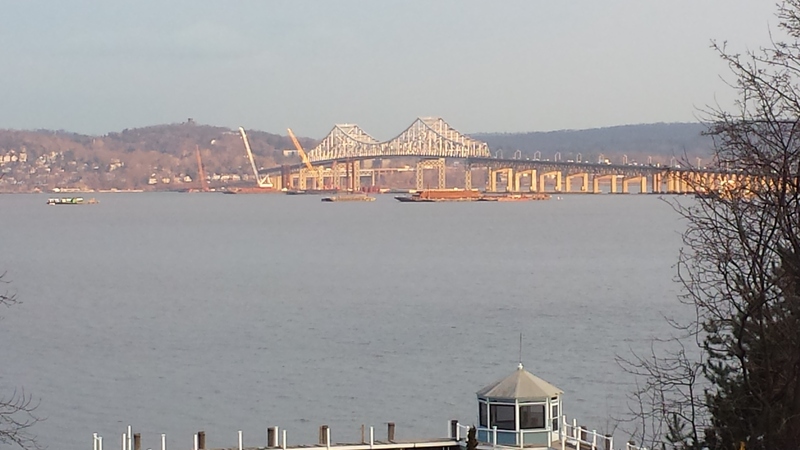 Tappan Zee Constructors plans to begin full production again on Monday, January 13, assuming that temperatures rise and ice clears the river.